American sociology is a chaotic discipline. There is disagreement on foundational issues that give disciplines coherence. For example, sociologist disagree on the appropriateness of a scientific orientation, the role of activism and ideology in inquiry, the best methodologies to employ, the primacy of microversus macro-levels of analysis, the most important topics to study, and many other contentious issues. 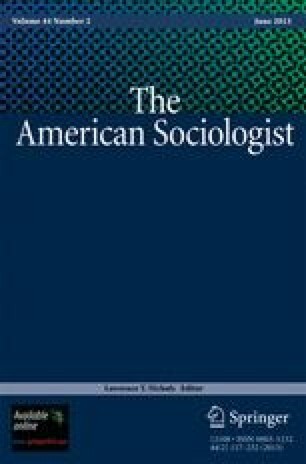 The recent call for a “public sociology” in which four wings of the discipline—policy (applied), professional (scientific), critical (ideological), and public (civic engagement) sociologies—are to be integrated is less of a remedy for what troubles sociology than an admission that we are a discipline divided (Burawoy, 2005). Among the social sciences, economics is the most coherent, with the other social sciences revealing varying degrees of incoherence or chaos. Sociology is probably the least integrated of the social sciences, although cultural anthropology has increasingly become much like sociology. In this paper, my goal is to offer an explanation for how sociology came to it present state and what, if anything, can be done to integrate the discipline. Let me begin by outlining what makes a discipline coherent. Jonathan H.Turner is Distinguished Professor of Sociology at the University of California, Riverside. He is primarily a theorist, and his substantive interests include the history and structure of American sociology. He can be reached at jonathan.turner@ucr.edu.